To quote a comment left by a viewer on the video that you are about to see, it sure is "comforting to know that one of the smartest men alive has a real sense of humor." The theoretical physicist and best-selling author Stephen Hawking was recently interviewed by comedian John Oliver for his weekly show Last Week Tonight With John Oliver on HBO. Oliver dropped by the Department of Applied Mathematics and Theoretical Physics at the University of Cambridge for the chat which was a bit awkward but funny. 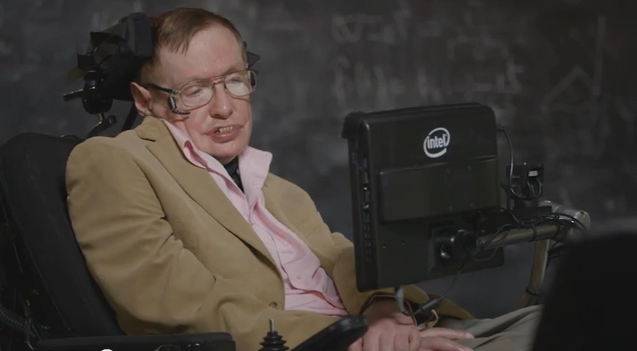 Hawking is the first person to be interviewed by Oliver for a new segment in his show called Great Minds: People Who Think Good. Oliver and Hawking started off on a serious note with the former asking the question "If there is one thing you want people to understand about your work, what would that thing be?". Hawking replied "Imaginary time. People think it's something you have in dreams or when you're up against a deadline but it's a well-defined concept. Imaginary time is like another direction in space. It's the one bit of my work science fiction writers haven't used because they don't understand it." The exchange turned less serious when Oliver started asking questions about artificial intelligence, the danger of building robots, parallel universes and if Oliver has the slightest chance of ever dating actress Charlize Theron (A Million Ways to Die in the West, Prometheus). Hawking also advised the host about fighting a robot, an advise that is relevant for us all. Don't ever fight a robot because you will lose.